With experienced installers and design staff, we have had the pleasure of delivering first-class service and product to many venues. Adding even the smallest amount of entertainment to your venue makes a huge impact in helping to create an environment your guests will want to visit and return to. The Pro Systems Installation team builds projects of all sizes from small local pubs to high attendance concert venues. Covering all audio, video and intelligent lighting needs, Pro Systems can help you achieve the vision of your projects. Assistance can be provided though all stages of build from initial plans, to final programming and tuning. Pro Systems reamins a part of your project for as long as is needed. Whether a sports bar, pub, neighborhood eatery, or the finest in restaurant dining, Pro Systems can help deliver the atmosphere you wish to portray to your guests. All audio, video and intelligent lighting needs will be met to help your venue fill to the brim with people asking to spend their hard earned money. From its inception, Pro Systems has serviced the nightclub scene. Sound, video, lighting and lighting effects, play a major role in nightclub entertainment. Nightclub owners have come to rely on Pro Systems for their initial installations and continue to use preventative maintenance and service calls for their existing equipment purchased through Pro Systems. Not only can Pro Systems take care of all your installation needs, but can also provide gear that is required by artists’ technical riders. This gear is available to nightclubs on a rental basis and can be delivered and picked up, if needed. Technicians can also be provided to operate the equipment. Pro Systems can outfit classrooms, theaters, indoor/outdoor sports facilities and arenas. 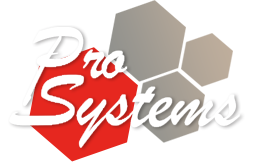 As with all our installation projects, Pro Systems remains a part of the process as long as needed. Pro Systems can provide all the entertainment equipment required to keep your congregation engaged. All equipment can be provided and serviced such as, speakers, microphones, stage lighting, mixing consoles, projectors, and video walls. From a single speaker to a full band or choir, we have the gear you need. Retail stores sometimes provide background music, digital signage and lighting effects. Pro Systems stays current with state of the art equipment and trained professionals to assist in these areas. Reception and common areas, offices and conference rooms can all have audio-visual needs. Pro Systems has the ability to provide audio, video projection, PA systems, and data cabling services. There are times that despite every precaution, equipment repairs are needed. Pro Systems can assist with obtaining factory repair and supplying rental equipment while your gear is being repaired.